Who are the members of the Casa de la Mateada community? Let’s start with the students, without whom there would be no program at all. In this inaugural semester of Loyola Marymount University’s new Casa program in Argentina, nine students have traveled to Córdoba from different parts of the United States and, since August, have been living, studying and working together. Getting to know one another. And their common work. They are beginning to feel like a cohort, or crew, or equipo or posse or whatever other word you might choose to describe a group of students who, for all their distinct personalities and interests, share a common goal of entering into the life of Argentina as deeply as they can. And learning to practice the art of accompaniment here. In the weeks to come, you will begin reading posts from the students, describing their experiences in the program–what they are learning, the questions they are struggling with, how they are changing and growing, their impressions of Córdoba, of Argentina, their emerging sense of what this program means to them, everything. For now, we want to introduce them to you, simply and briefly. What follows comes from the students themselves–each one offering an impression of at least one other member of their new community. 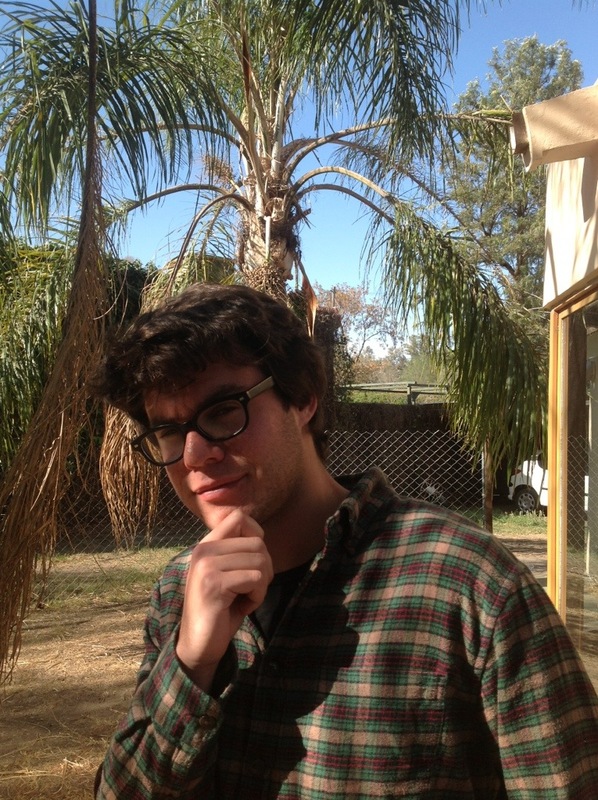 Senior Loyola Marymount University student Jake Harter is continuing his study of Biology, which makes his encounter with the diversity of Cordoba’s trees, birds, and epiphytes (better know to the rest of us as “those things that grow on telephone lines”) particularly enjoyable and challenging. He is also showing himself skilled at making friends here in Córdoba, in his praxis community at El Gateado and at panaderías (bakeries) throughout the city. The Casa de la Mateada community has Lorena Brothers to thank for our introduction to and growing love for Dulce de Leche, for many a provocative intellectual discussion, and for her always-thoughtful comments and stories of adventure. 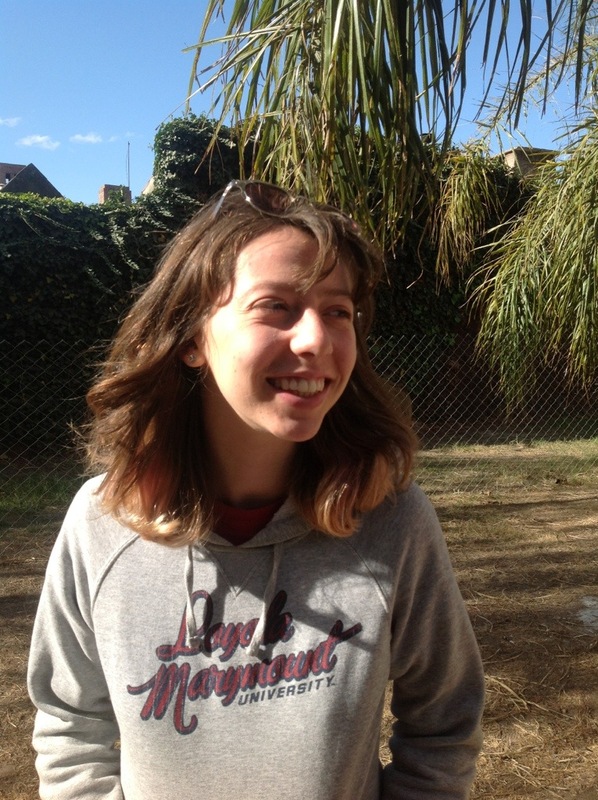 A Sociology major at Loyola Marymount University, her strong desire to dig into the intellectual work of Casa, and to the culture and language of Argentina inspires us all (as does her loving butterfly spirit). 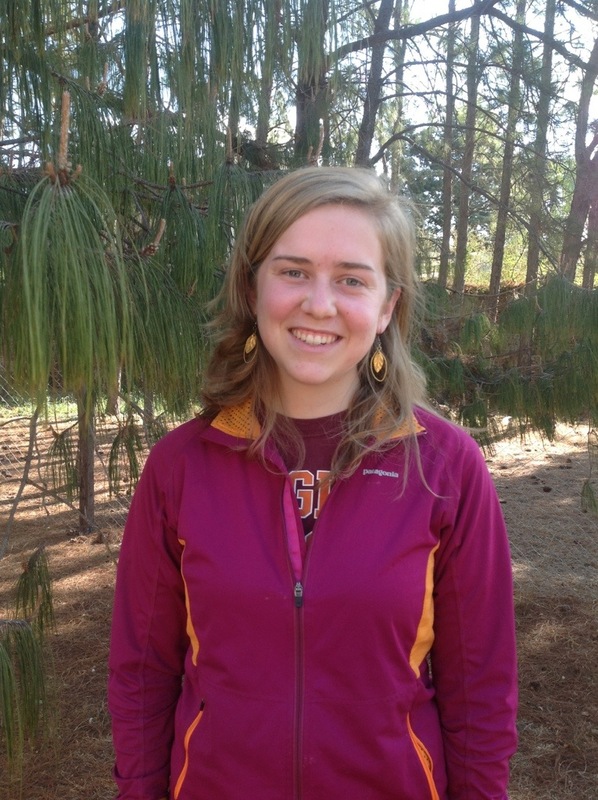 Catherine Goggins is a proud Hokie (she is studying Agriculture at Virginia Tech) who has brought her love of all things agricultural to the Casa community (yes, that is Catherine gathering her minions to establish and eventually harvest a garden!). Rosemary, parsley, basil, mint, oregano and still-hoped-for carrots, lettuce and–we hope–tomatoes. Our own farm in Cordoba! She also helps to keep us attentive to the many environmental concerns facing us, both here and at home. Always cheerful and positive, where would we be without her? 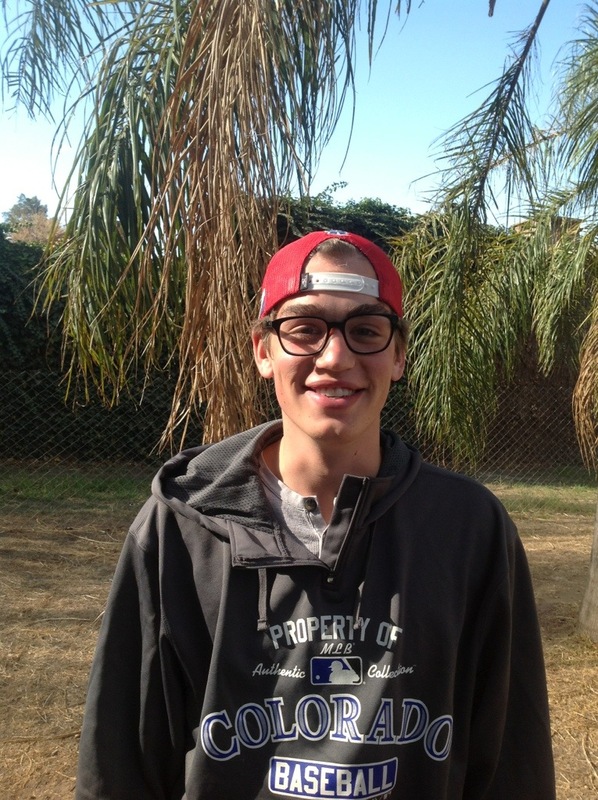 Jake Wild Crea immediately caught our attention when he told us of his major at DePaul University in Chicago. It sounds particularly impressive in Spanish: “Justicia, Paz, y Conflicto.” But important for us than its title is the way Jake embodies his engagement with these ideas, how he thinks and acts, always seeking to understand how to achieve justice and peace in relationships and larger social and political systems (though he does tend to create a little conflict on the soccer field). 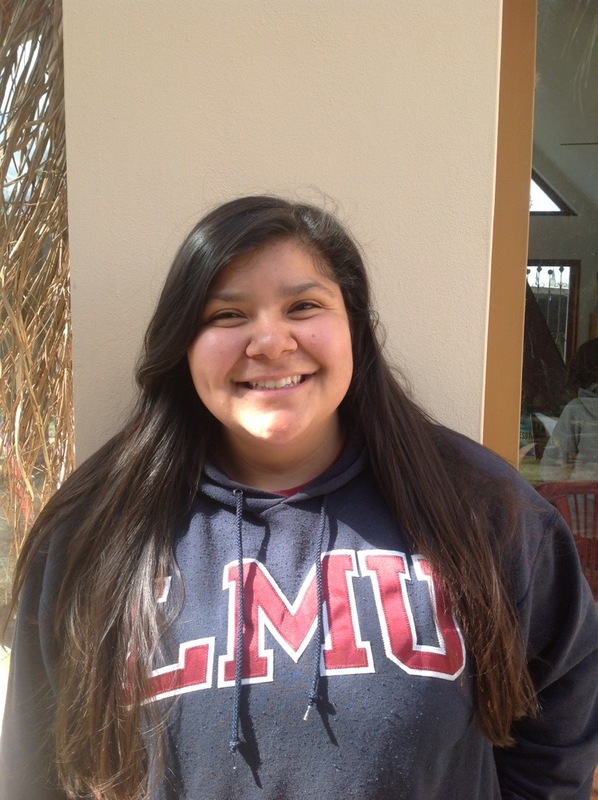 Alyssa Perez, a Loyola Marymount University junior studying theology and political science, brings a contagious joy and thoughtfulness to the life of our program. She has a natural gift for making friends and has helped us become more connected to locals here in Córdoba. And while studying in Argentina with her Casa family is a dream come true in and of itself, the realization that Justin Bieber will be performing live in concert while here in Córdoba has left her nearly speechless with joy. Dan Letchinger regularly charms the entire Casa crew with his thoughtfulness, humor, and guitar playing. 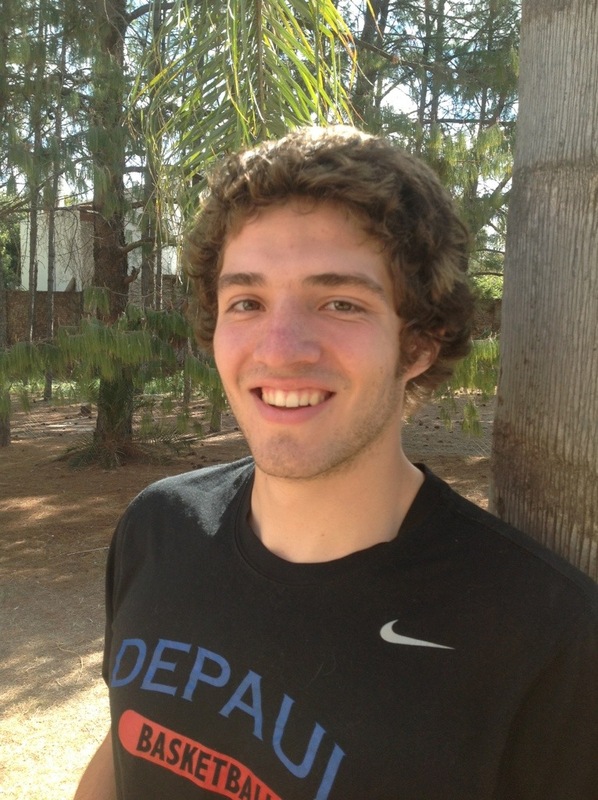 A DePaul University junior and advertising major, he is keeping a blog chronicling his experiences in the program. A particular focus of his so far has been the Argentine art of parilla (grilling) and pretty much anything to do with food (the benefits of which are often experienced in our community). After visiting Casa de la Solidaridad in El Salvador with her high school classmates Amanda Montez (an LMU undergraduate studying education) decided she wanted to seek out a similarly transformative experience–in the newest Casa sister program. 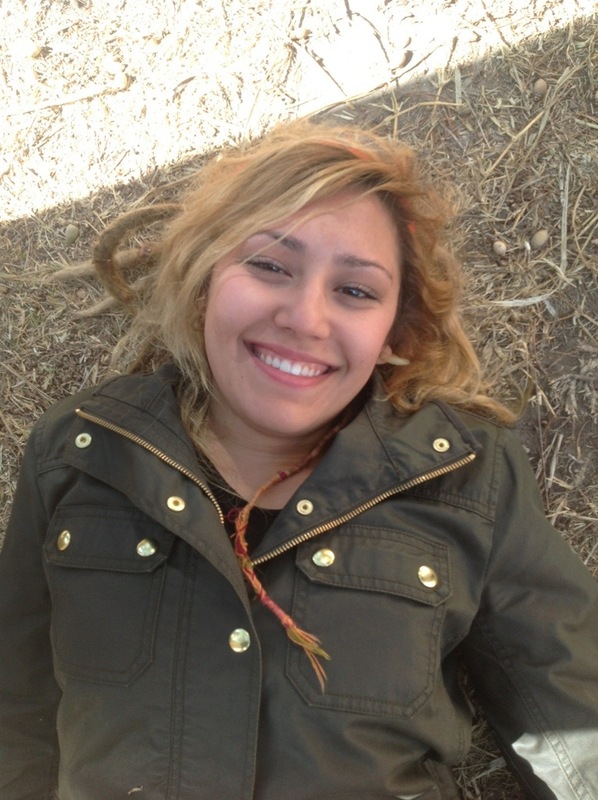 The students she has befriended through her praxis site at El Gateado have certainly reaffirmed her desire to teach. Those of us who have seen her in action have been moved by her natural warmth with children and adults alike. 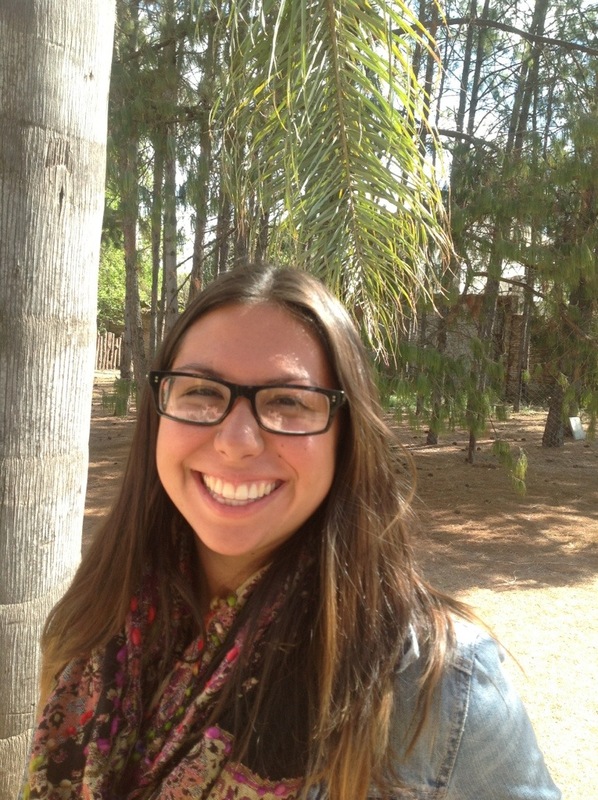 Sarah E. Scherk bid a semester-long adios to her Communications Studies major, Jewish Studies minor, and University Honors Program at Loyola Marymount University to bring her love of music, language, and all things lime green to Casa de la Mateada. Her wonderful memory for Spanish vocabulary has served us well so far and we hope to repay her with the memories she makes this semester! 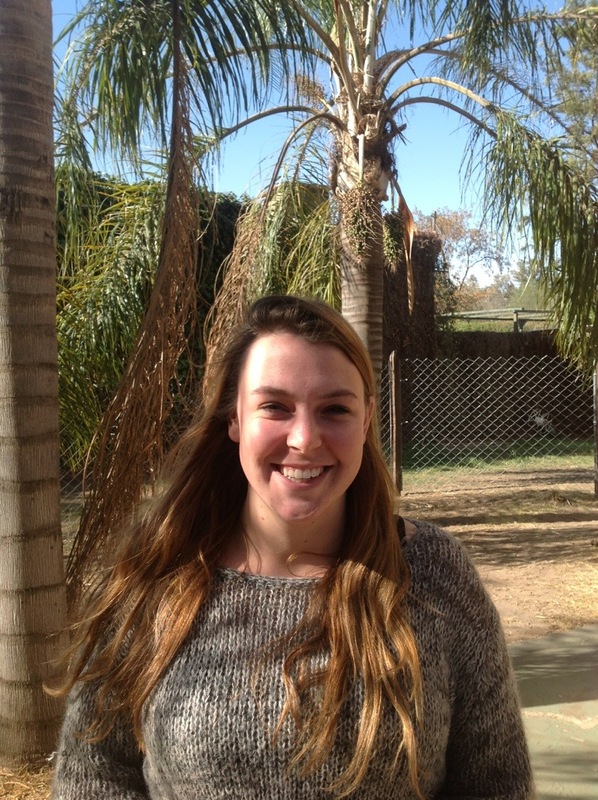 Kayleigh Sobieski, a senior studying psychology at LMU, brings lots of humor, cheer and understanding to the Casa de la Mateada family. An early riser and avid yogurt eater, her outgoing spirit helps her make the most out of every bit of this shared experience while encouraging each of us to do the same. Here we are. In Córdoba, Argentina. But who are we? And what are we doing here? These are questions that arise often here at Casa de la Mateada–for students, community coordinators and directors. We have been here only a short time, so it is perhaps understandable that are still discovering the meaning and purpose of our life here. Also coming to sense already that some of the meaning of this experience may not become clear until after we have departed for home. For now, we are making an effort to live into each day with our eyes and hearts open, learning–poco a poco–what it might mean to become part of this place, to enter into the work of accompaniment that has brought us here. So, we continue asking ourselves these questions, recognizing that the asking and responding are taking on a different character with each passing day. On August 20, 2013, nine intrepid students arrived in Córdoba, from different parts of the United States, to help inaugurate the life of Casa de la Mateada, Loyola Marymount University’s new study abroad program in South America. For months before that, the three co-directors of the program and the two community coordinators prepared for their arrival (Not to mention a host of supporters back home at LMU, without whom the program would never have seen the light of day). Still, more than a few times, as we prepared for the arrival of the students–looking for housing, setting up the curriculum, establishing working relationships with the Universidad Cátolica de Córdoba, finding the right praxis sites for our students and yes, buying pots and pans, painting walls, learning bus routes, and discovering the best places to shop for criollos, frutas and many other things–through all of this we paused from time to time to ask ourselves, amidst the craziness: what exactly are we doing here? And now that the students have arrived, we cheerfully share the question with them. The students who have arrived for this first semester are all in their own way adventurers. Brave souls with a desire to enter in as deeply as they can to the life of this place. Still, I think it is safe to say that the challenge of doing so has already proven greater than many expected. This too is part of the gift of living through this experience together. And the mutual support found in community living is no small part of the experience here. In the weeks and months to come, we will try to give expression to that experience here in this space, as well as the sense of what is like to study here, to work in praxis sites, to travel and come to know the life of Argentina, to feel a new sense of self emerging, all of it. Our students are the heart and soul of the program and what happens to them and who they become while they are here in Argentina represents the essence of Casa de la Mateada. But it is it not only what happens to them. It is also what happens between and among them and all those with whom they share their lives–their community coordinators, the community leaders at their praxis sites, their professors, indeed everyone whose lives they touch and whose lives touch them while they are here. And it is the mysterious opening up of awareness and understanding–about the complex social and political fabric of this country, the enduring value of certain cultural traditions, the challenging of practicing accompaniment, the meaning of spiritual practice–that can and often does change everything. But it is early and so we are only beginning to understand what we are doing here and who are we becoming as we live into this work. This is not necessarily a bad thing. In fact, it is probably a help to us in our work here to adopt an orientation of real humility, to acknowledge on a daily basis all we do not know or understand. Those of us have been involved in dreaming the program into being–and that includes many, many people at LMU, as well as colleagues in the two other ‘Casa’ programs in El Salvador and the Philippines–have begun to notice this fundamental tension in our work. We have ideas and hopes for what the program might be, what it might mean for our students to engage in this work of accompaniment. But the question of what we hope to learn and to contribute remain mysterious and elusive at the moment. Many of these questions will only be answered in time, as we live into the work. But for now, it is good to pause and remember the longstanding and carefully developed ideas about education that have shaped the Ignatian tradition from its earliest days and which have continued to develop in the twentieth and twenty-first centuries. And which continue to challenge Jesuit Universities around the world to deepen their fundamental commitments. One of the most important points of reference for thinking about this question here is: “The Service of Faith and the Promotion of Justice in American Higher Education,” a talk given by the then-General of the Society of Jesus Rev. Peter-Hans Kolvenbach, S.J. in 2000 at Santa Clara University. He addressed his remarks in a particular way to leaders at Jesuit universities in North America, asking them to consider what it means for universities in the U.S. to be committed not only to academic excellence but also to the service of faith and the promotion of justice. One of the most important ideas in that talk, and one that has had a real impact on the formation of the Casa model of education, is Fr. Kolvenbach’s insistence that our universities need to commit themselves to “educate[ing] the whole person of solidarity for the real world.” It is a powerful idea that has the potential to challenge many of our fundamental assumptions about the meaning of higher education. But its meaning, including its practical meaning in the life of particular universities, is still very much being worked out in the present moment. The Casa model is one response to Fr. Kolvenbach’s call to educate students in a holistic, socially and spiritually engaged way. We are just beginning along this path in Argentina and still have so much to learn. But in the months and years ahead we hope to bear witness to our experiences and findings (our successes, but also our failures and places of learning) as part of a shared effort to think more deeply about what it might mean to educate students of solidarity for the real world.